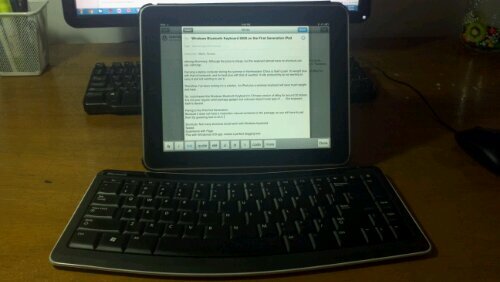 Summary: I like the price, but the keyboard almost has no shortcuts can use on iPad 1. 08/10/2012 Update: If you are looking for a decent iPad wireless Keyboard, theVerge.com has a good review on various keyboards. Click here to Read. Carrying a laptop computer during the summer in Northeastern China is itself a pain. Its weight plus with that of backpack, and its heat plus with that of weather. It kills productivity by not wanting to carry it and not wanting to use it. Therefore, I’ve been looking for a solution. An iPad plus a wireless keyboard will save much weight and heat. 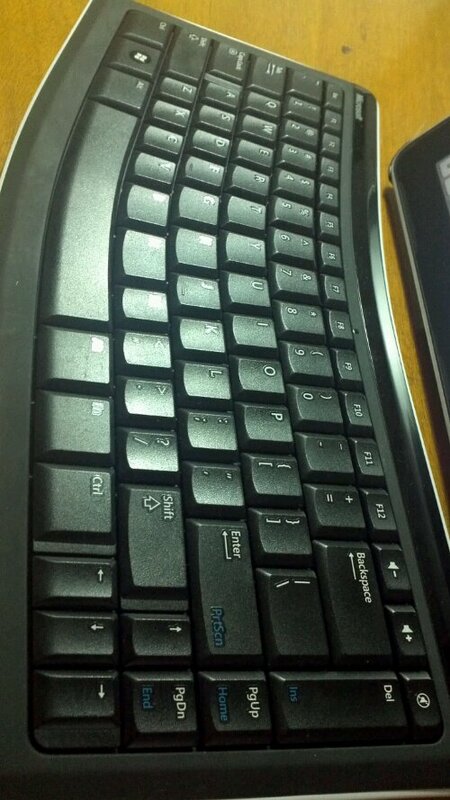 So, I purchased this Windows Bluetooth Keyboard in Chinese version of eBay for around 20 dollars. 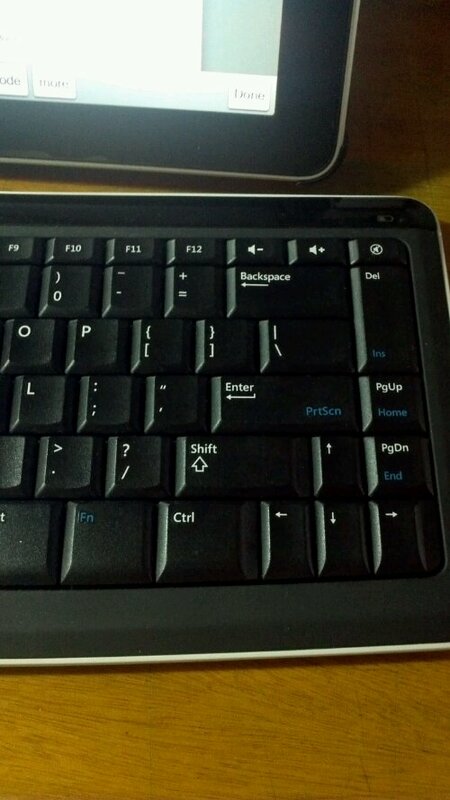 It is not your regular retail package gadget, but unknown-import-route type of …… But keyboard itself is decent. Because it does not have a instruction manual contained in the package, so you will have to pair them by guessing how to do it. Let me tell you how. 1. In your iPad, turn on the bluetooth sensor by going to “Settings” –> “General” –> “Bluetooth”. Now you iPad is ready to discover any bluetooth enabled gadget that is in “Discoverable” mode. 2. Make your Bluetooth Keyboard discoverable by pressing long the bluetooth icon under the keyboard. 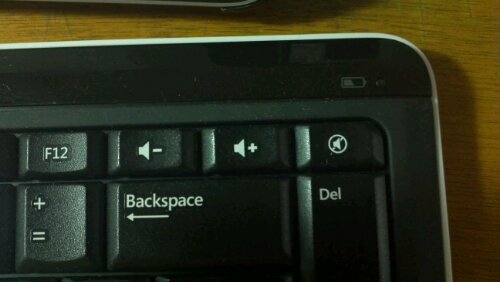 When you press long the BT key, LED indicator in the keyboard will turn red color. It means that your keyboard has entered the “Discoverable” mode. 3. Attempt paring in your iPad. By now, the “Microsoft Bluetooth Keyboard 6000” should have appeared in the iPad’s discoverable item’s list. Just select it. 4. Shortly after, iPad you will give you a four digits number that will be used to pair two. 5. Enter these numbers and hit enter. 6. You are good to go. From next time, whenever you turn on the keyboard, the iPad and keyboard will be paired automatically, as long as the bluetooth sensor of iPad is in “on” status. If you concern about the battery life of your iPad, you might just want to go back to turn off the bluetooth sensor after finished using the keyboard. But, I leave that all the time. So far, I have not seen any occasion where battery life has decreased significantly just because of the bluetooth. So, if you are a type of person like me who are so attached in using shortcuts, I just want to tell you that this Keyboard with first generation iPad almost not offering any shortcuts. I do not know whether it is just for first generation iPads or in all models. I would appreciate if anyone has different information. I have seen users with Apple keyboard has much better luck. 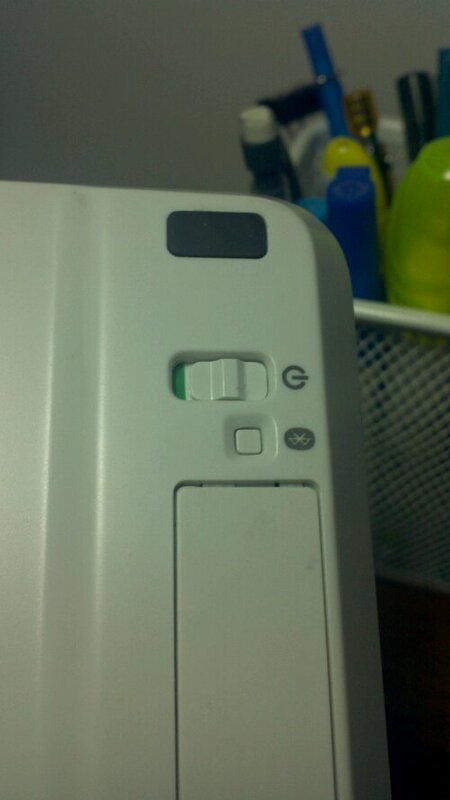 – switching of international keyboards by pressing Winkey plus space key. – jumping to the end/beginning of the line by pressing Winkey plus forward and backward arrow. – jumping to the previous/next word by pressing Alt key pluse forward and backward arrow. – Volume increase, decrease and mute keys will work. – Fn key is in the right, between right Alt key and right Ctrl key. – PgUp and PgDn do not work, maybe is because there is no need to do so. 1. Keyboard itself is designed with ergonomic consideration, so have no problem in typing for a long hour. 3. 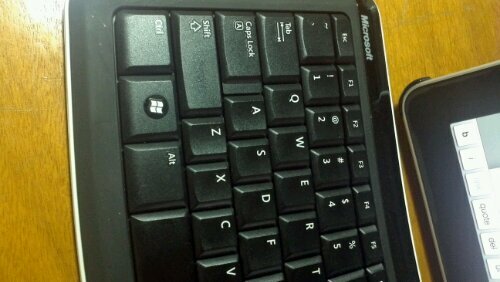 Chinese input method with keyboard is horrible, although it is not the problem of the Microsoft Keyboard. Chinese IM is slow to load, and not very convenient with an Keyboard. Sometimes, you type faster than Chinese IM can recognize. 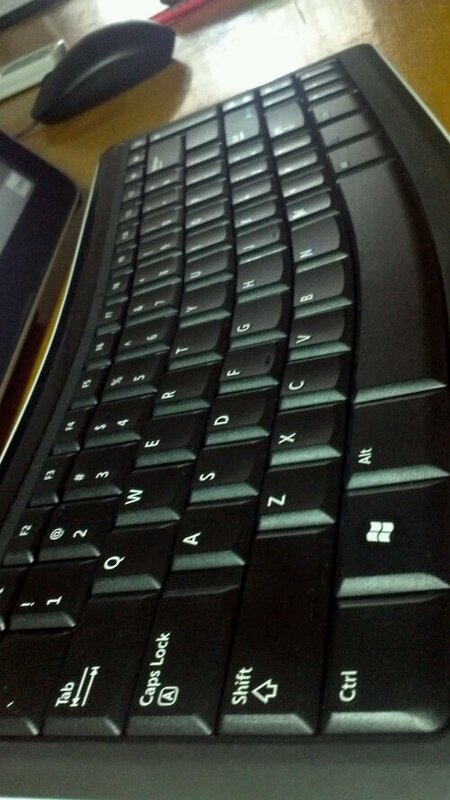 Overall, it is a good keyboard. Your iPad plus actual keyboard makes a perfect writing environment. It is like a typewriter. Because it is very annoying switching between Apps, so I am almost in a single task mode when I work. So this helps your concentration. This entry was posted in Mobile, Reviews. Bookmark the permalink.